This located just off the Pinhoti Trail trailhead. About a tenth of a mile down the trail, is the upper Cave Creek Trail connector. This is my first hike with a backpack in decades. I made it about 2.75 miles ( 2,75 miles). 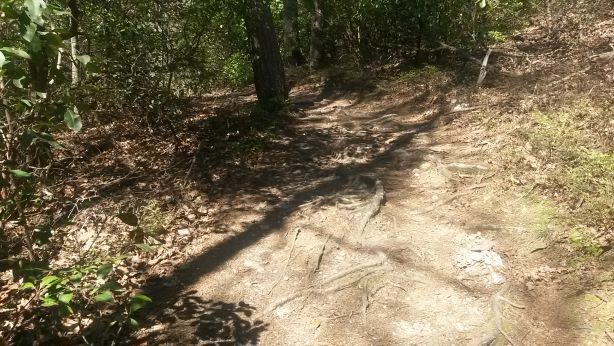 So this is a tiny fraction of the Pinhoti trail. 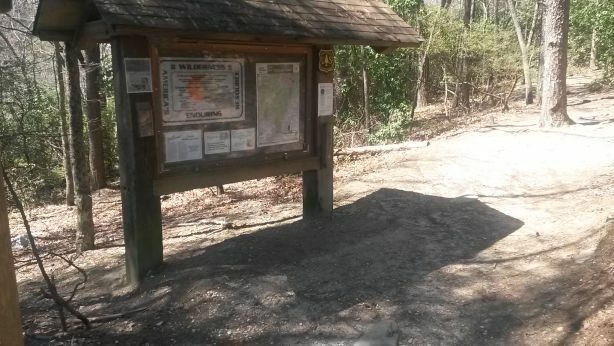 The Cave Creek Trail has a lower Cave Creek Trail connector which leads back to the Pinhoti Trail. 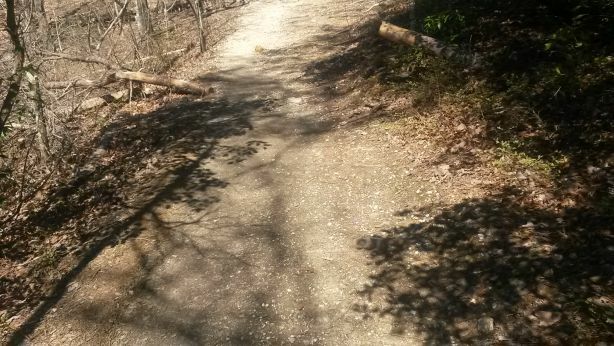 So you could easily walk down the Cave Creek Trail to the lower connector, and walk back to the trailhead parking lot via the Pinhoti Trail. Somwe early flowes were in bloom. The Cheaha State Park store has a phot book on the flowers and trees in this area. I found a photo that matches the small trail-side flowers I saw, they were bluets. When I find the book again, I’ll post the name and author. My video camera shook… I’ll blame it on the wind. So here are some photos, some may be out of sequence, so don’t use this as a trail guide. At intervals on the way back, several people passed me by headed down trail. One of the family groups had two large dogs which took a dump on the trail. Hopefully they cleaned it up on the way back out to the parking area. There are more roots and small rainy stream areas the further down the trail I went. The ‘stream’ areas were rocky and about 1 to 3 feet wide at the trail. 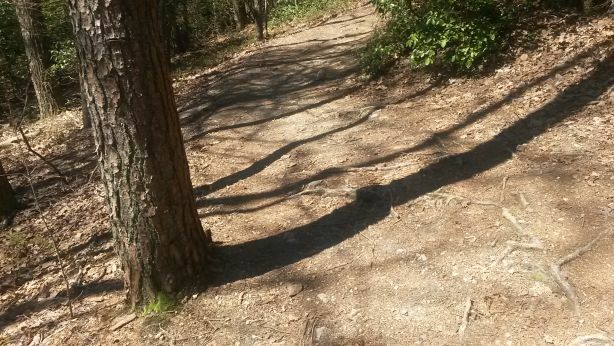 I did notice one ground seep of water towards the upper part of the trail. It was less than half an inch deep. It hadn’t rained for week or so. I had troubles with the Outdoor brand hiking poles. They use compression rings to hold them open… it doesn’t work that well. And they jammed so I couldn’t undo them, re-tighten them, and walk again with them. I wound up putting one of them away, and then had problems with the other one. a short distance down the Pinhioti.